Cheque slips are the important medium of making financial transactions, i.e., for making payments or withdrawing cash from an account. The bank's issue Cheque Books for individual savings accounts as well as current accounts. Do you have an account with Bank of India? Did you receive the Cheque Book while account opening? If you forgot to request for issuing a Cheque Book, you could apply for it in the later period. You must be aware of different methods of requesting Bank of India Chequebook. You can also opt for any of the methods if the Cheque Book issued by the bank has few slips left in it or even if you lost the booklet. Type SMS 'CHBS 15 digit a/c number ADR' and send it to 09212304242 to receive the booklet at your home address. Type SMS 'CHBS 15 digit a/c number BR' and send it to the number 09212304242 to receive cheque booklet at the branch. Dial 1800220229 or 18001031906 from your mobile number. It is a toll-free number, and it will get you connected to the customer care service provider. Request to issue a new Cheque Booklet. The executive would ask you to provide banking details as well as account holder's details. You will receive the booklet via post at your registered address within 7 Working Days. Requesting Bank of India Chequebook via online is the simplest way. You must have activated internet banking services for your account. 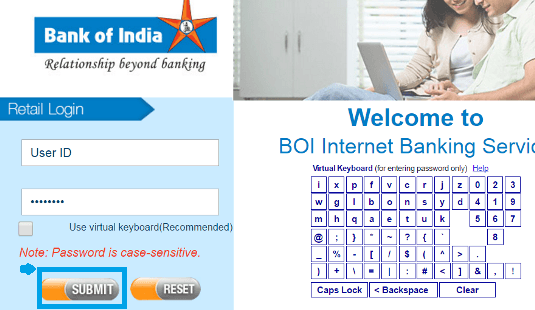 Step 1: Access the Bank of India internet banking site. Enter your User ID and Password to login. Step 2: Click the Requests tab from the main menu. 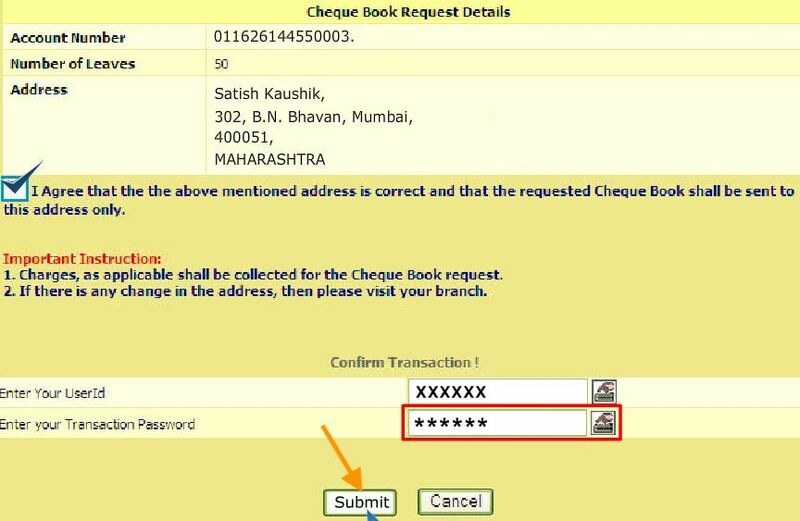 Now search for the Cheque Book Request option and click on it. Step 3: Next choose your linked account and click the continue button. Step 4: Choose the number of leaves in a booklet and check the box to confirm address details. Enter the bank of India login and transaction password to confirm the transaction. Finally, click the Submit button to complete the request. The screen will display confirmation message for successful acceptance of your application with a reference number. The bank will dispatch the chequebook within three days, and you will receive it via post. Visit the nearest Bank of Baroda ATM. Insert your ATM card in the slot and enter your PIN. After selecting the option, the screen will display confirmation of your request for a new Cheque Book. Request at the 'Help Desk' to issue a new Cheque book. The executive would provide you a form which you need to fill up and submit it to the Help Desk. You require filling up the credential as mentioned in the form, i.e., bank account details, account holder details, and the booklet with a specific number of cheque slips. With the option of requesting Bank of India cheque Book online, you need not waste your time or effort of visiting the branch or ATM. Being in your comfort zone, you can apply a new Chequebook anytime and from anywhere.